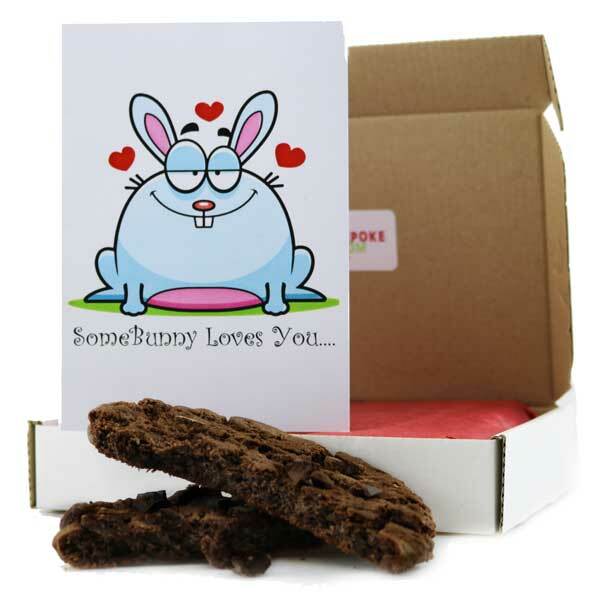 A letterbox friendly giant cookie.... what could be a better way to send someone some smiles?! Giant Double Choc Chunk Chip Cookie 90g - from the quirky Snak Shed, there's the bigger than most doubly delicious Double Choc Chunk Chip Cookie! With really chunky pieces of chocolate there's a double chocolate delight in every bite! Whether it's a birthday or because they've done something that deserves a little thank you, this is a sweet one to send!